Nowadays, our cell phones have replaced every device we used before : GPS, cameras, music players much more thanks to countless apps available on the Play Store. Smartphones have evolved significantly, powering every aspects of our digital life, there is no obstacle anymore to let it become our personal computer. 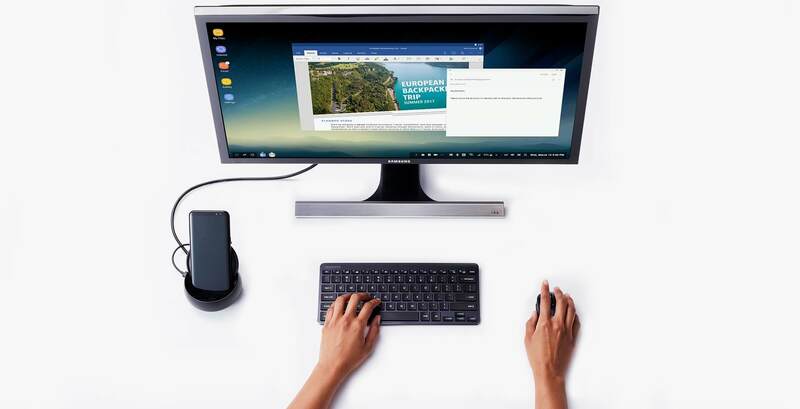 It is now possible to dock your smartphone and connect a keyboard, a mouse on a PC monitor or a TV. 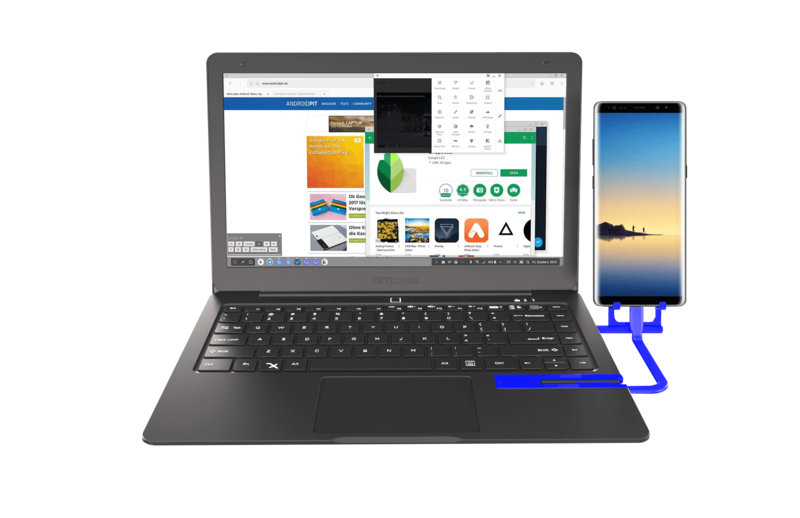 Indeed, docking your smartphone, allows you to finally use Android OS as you would with Windows, Linux or MacOS. 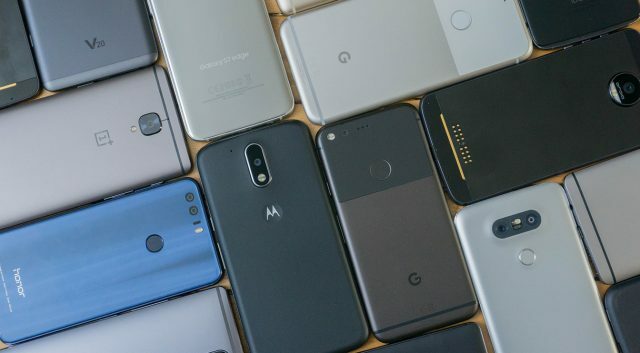 The mobile convergence revolution is a tremendous opportunity to develop sustainable products to respond perfectly to the new use cases of Superphones. 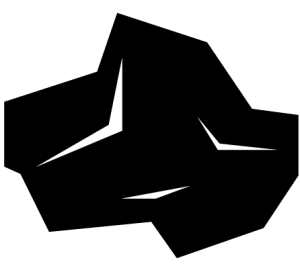 Miraxess’s objective is to bring productivity to mobile phones and keeping an enjoyable mobility. Introducing the Mirabook. Transform your superphone into a full-fledged laptop and be productive and mobile at the same time. No more data synchronization between your many devices, no more empty battery, the Mirabook is the perfect laptop dock extension for your smartphone. 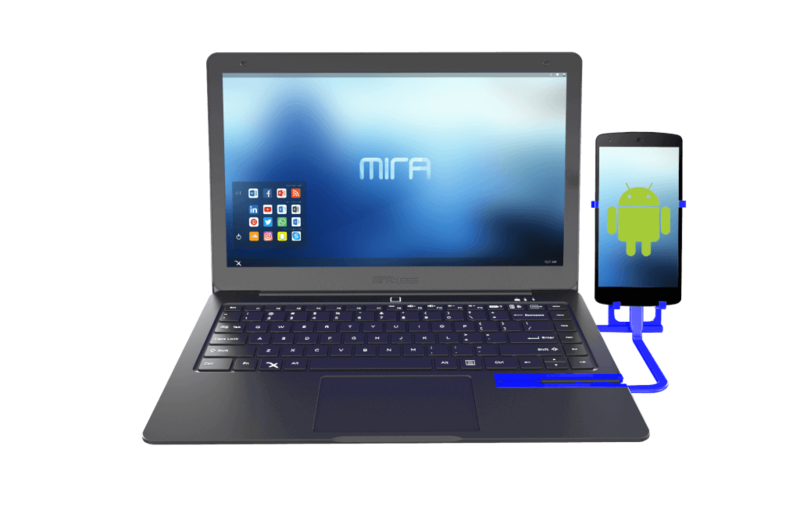 Take advantage of the Mirabook as the perfect mirror and external display for your Android phone. What android phone can I use with the Mirabook ? To use the Mirabook at best, we recommend to have a device using USB type C and a DisplayPort port. 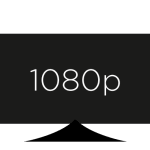 During the last year many brands have already changed their spec using DisplayPort and USB type C.
In addition, some brands have developed their own desktop like interface to be more comfortable (Samsung DeX, Huawei EMUI desktop, …). We are working on an adapter in order to be compatible with any us type c devices. To see every compatible phones, please clic on the link below. Before getting any further, be aware that the Mirabook will not work with any apple devices. What are the apps allowing me to use my android phone as proper desktop ? There are three way to use a proper Android desktop experience. 2 – You can display a mirror of your smartphone and work on it with a larger screen. 3 – Your smartphone’s manufacturer has implemented an application from a third party. In this option, you can help us promote this way of using your anroid phone by supporting a team. You like our project ? Stay tuned and subscribe to our newsletter, contact us on our live chat and your favourite social medias !